The delegates include Pashon Murray, co-founder of Detroit Dirt, Amy Kaherl, director of Detroit Soup, University of Michigan transportation research scientist James Sayer, Jerry Paffendorf, CEO of Loveland Technologies, and Pam Lewis, the director of the Community Foundation for Southeast Michigan (CFSEM). “The city of Detroit has come a long way in recent years, and we think a lot of that has to do with philanthropy taking an inclusive approach to investing in support for entrepreneurs," said Lewis. A panel discussion Thursday evening featured Shinola CEO Jacques Panis and other Detroit entrepreneurs, who discussed why they decided to locate their businesses in Detroit. 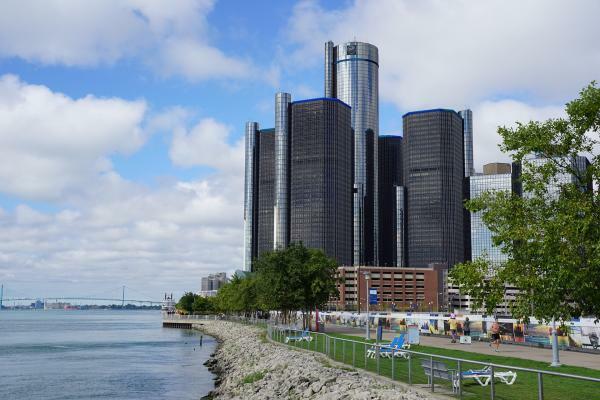 According to a press release, the New Economy Initiative’s investments in the past decade have led to the creation of over 17,000 jobs in the Detroit area.